On August 6th, dozens of selected guests were invited to be part of the Secret Summer Festival 2017! 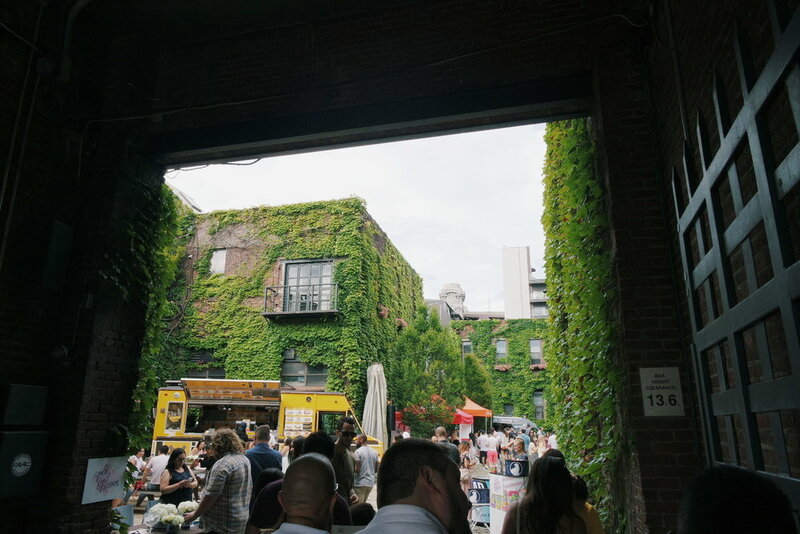 This festival was held at The Foundry; a venue filled with greenery and located in Queens, which was a much needed break from the busy Manhattan. The beautiful summer weather was even more appreciated out in the gardens -- the sun was shining, and summer flowers were seen all over. Upon entering the beautiful garden, guests who dressed up to their most festival fancy were able to complete their look more perfect. The first step was to Gold Foil Tattoos station. 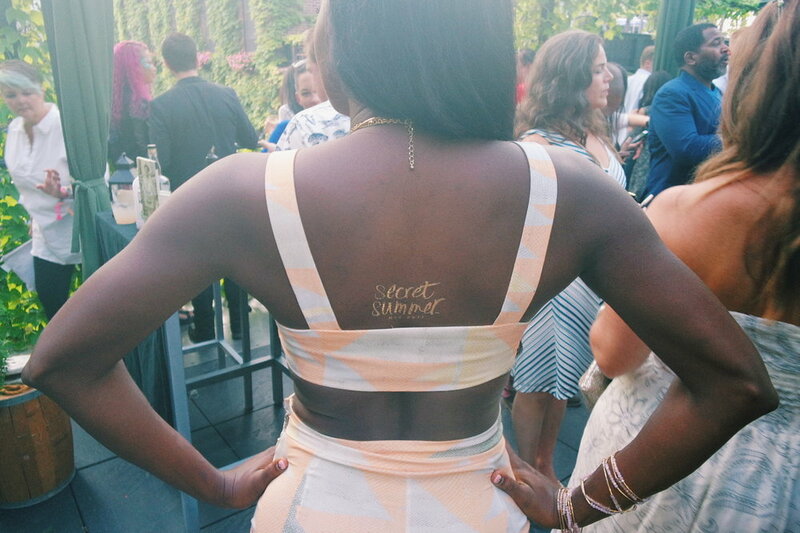 Guests were given the opportunity to have a gold lettering tattoo on their body. Also, Mehdni By Monika was showing off their face painting skills and people’s faces were lighting up the room even at the dark places. Secret Summer Festival 2017 was full of things to enjoy and play. 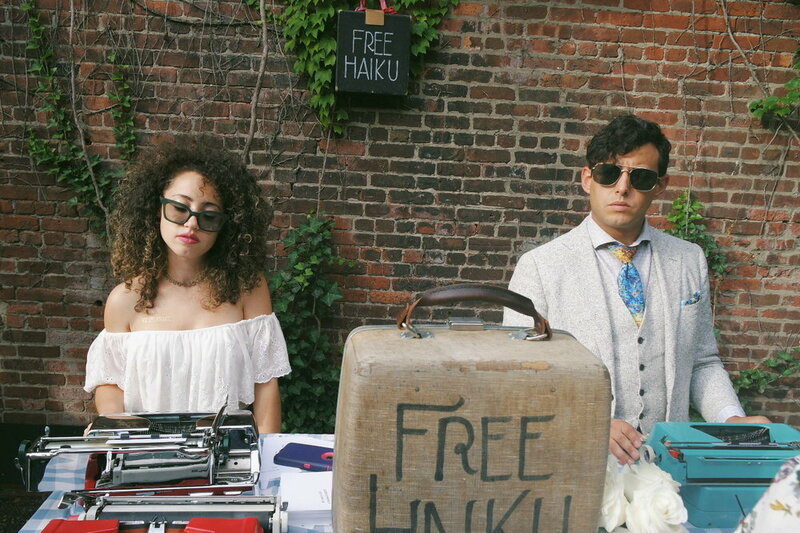 Haiku Guys & Gals listened to each person’s story and wrote them a personal haiku, while Anthony Kieren Water Colors painted portraits of visiting guests. 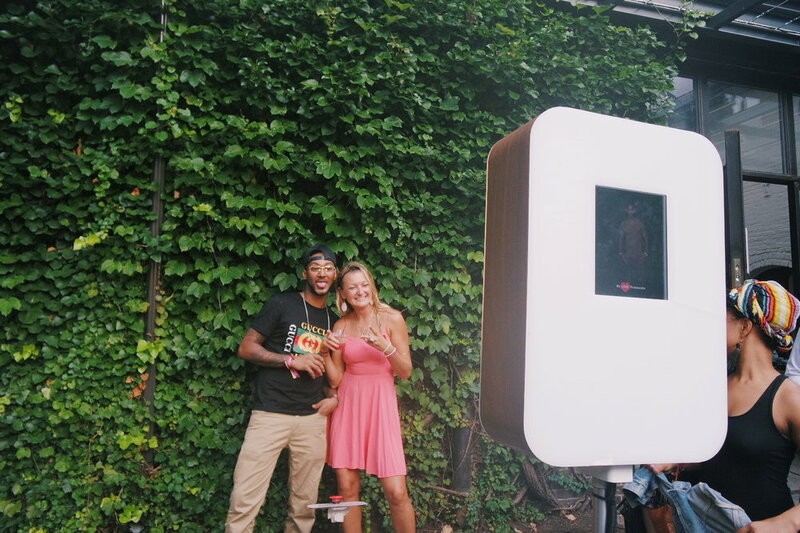 SPIN also presented a petit playground called ‘PRO PING-PONG GARDEN,’ and We Love Photobooths and ESP Cameras provided photo lovers the chance to spend the whole day in booths. 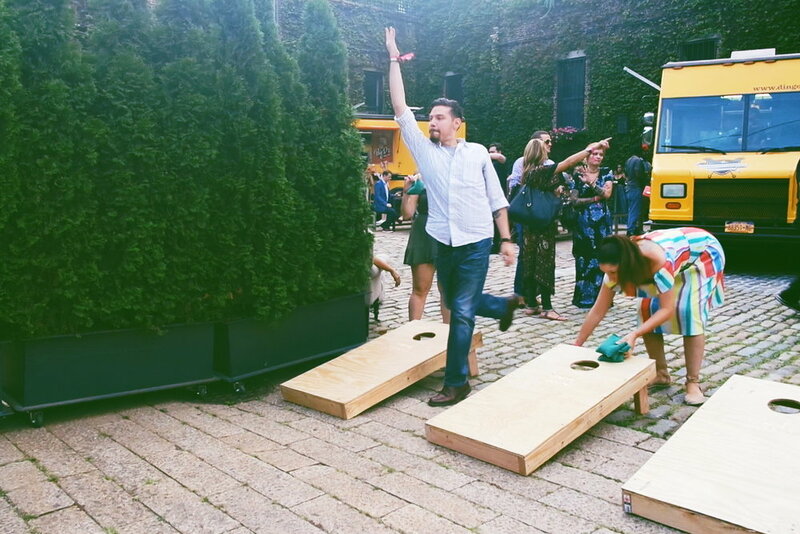 DJ’s playing and performing arts gave patrons the chance to dance away the summer night. The highlights of the day were the 8 kinds of farm-to-bar cocktails! SPRING 44 Farm-to-Tonic BAR was one of the most crowded bar among bar sections. They coated the glass with agave syrup and decorated it with cornflower petals from Farm One. Made of Spring 44 vodka, Polar tonic water and red syrup, the creation looked gorgeous. Zacapa Rum served a honeyful cocktail. 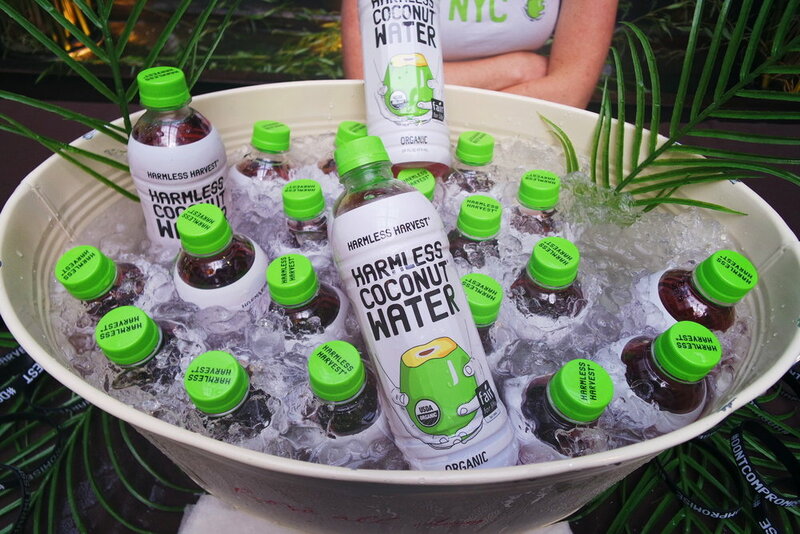 Their rum tasted deeply sweet, and went well with coconut water from Harmless Harvest. The bee pollen around the cup added a nice finish. Herradura brought nectarines and serrano peppers from Thorpe’s Farm into their cocktails, but balanced the explosion of flavor with a light, creamy egg foam. Woodford Reserve used their own dropper: ’WOODFORD RESERVE SPICED CHERRY BITTERS’. Various mints from Farm.One gave a refreshing taste. Even nondrinkers had various options to choose from. Illy served up affogato, while La COLOMBE COFFEE came with 6 varieties of draft latte. Kevita and Harmless Harvest were loved by the health-conscious. They brought probiotic drinks and coconut water which everyone grabbed endlessly. Most of all, the best part of this festival was the the amazing people who came out and showed out. Below the cloud-lighting, sitting around the outdoor table or on the rooftop garden, people could stay, drink and chat away their summer stories.